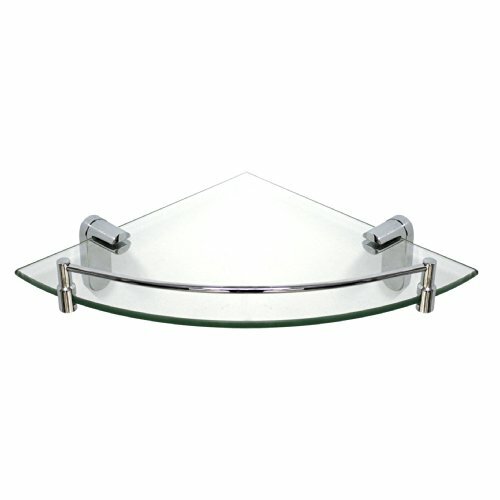 Shower shelves can attractively add to the look of any shower. And when they're in the corner they take up less space than elsewhere in they shower stall, but still is useful and practical. 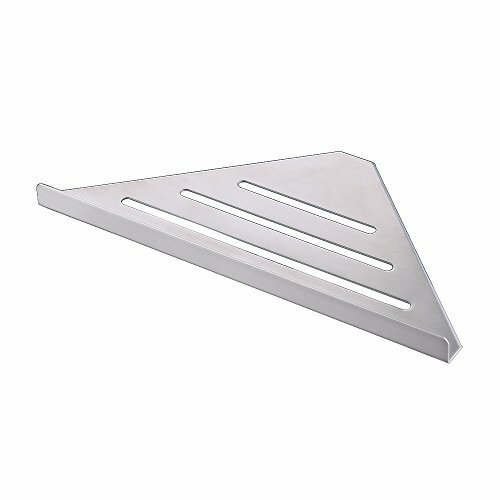 With the many designs out there you can find a corner shower shelf to suit your design, decor and fancy. 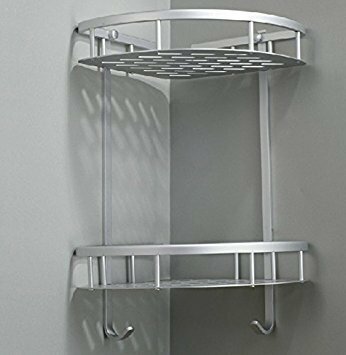 Shower corner shelves have different unique designs. 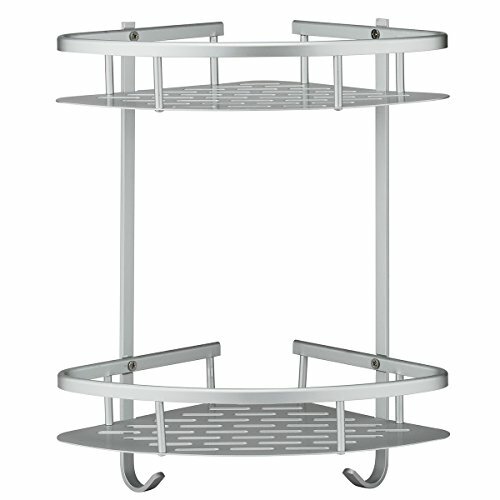 There are the standing shower shelves that can fit steam rooms and rectangle shower stalls. 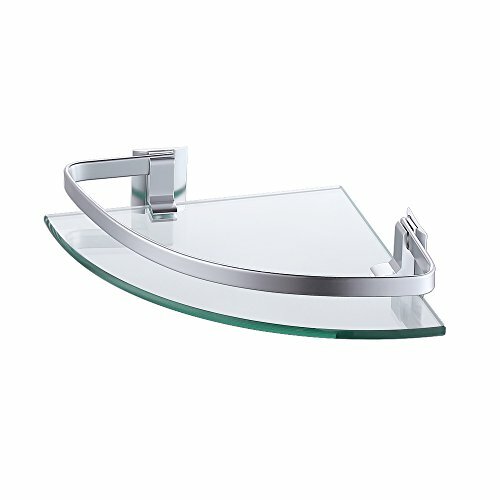 You can also find single or double floating shower corner shelves. 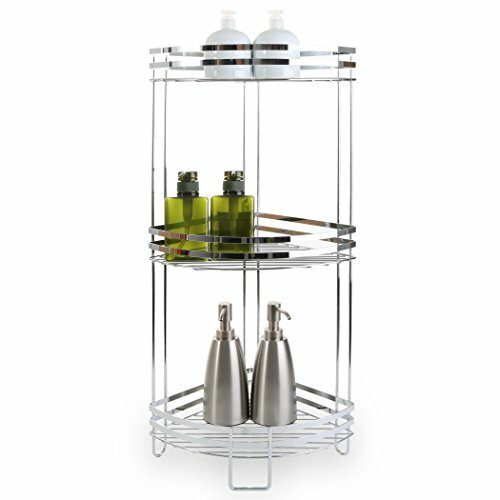 But many like the shower caddies that help all to store their basic bath items. Some of these are installed permanently and would need tools to do this. And some are installed through suction. 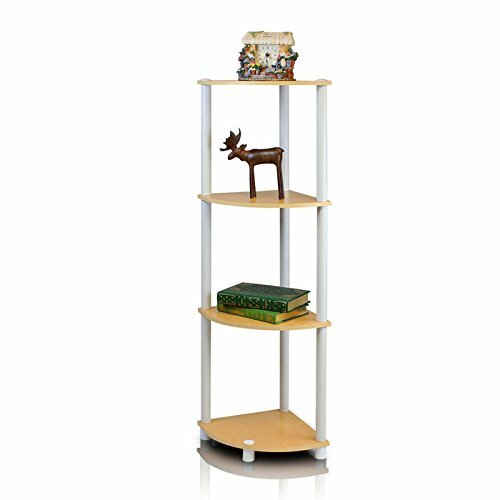 But make sure to see what weight carrying capacity of each shelf is so you'll know which type you need. There's nothing like a hot, steamy shower. Its where many go to wash the cares away. Whether its anxieties or physical dirt, a shower does the trick in a beautiful way. The steam and the power of the water definitely does the trick. But along with that there are shower items that help immensely. For some it's a loofah sponge. Some like the feel of exfoliating gloves. Others have a favorite aromatic soap. And some have their waterproof radio to assist in the cleansing. But having these items but with no place to put them can be a bummer. Hence the beauty of the corner shelf. 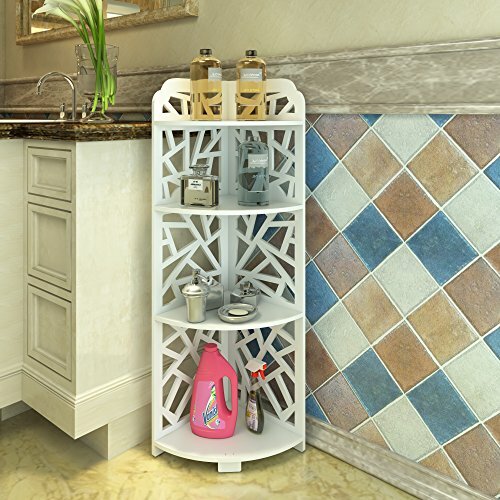 Shower corner shelves add a nice mix of practicality and beauty to every bath. And they come in so many different varieties. Shower glass corner shelves always have a nice touch. Their see through design almost gives an air of invisibility as they hold up your much needed shower supplies. 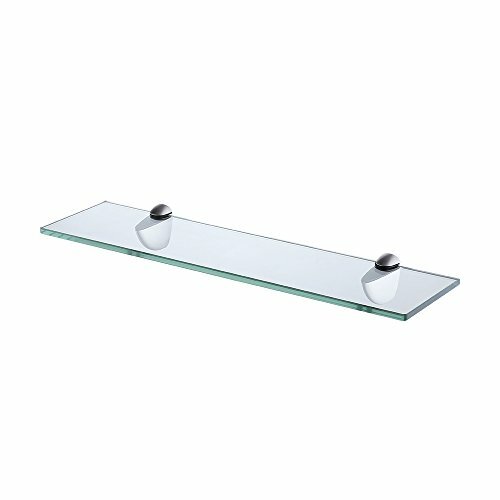 There are different type of shower corner shelf installation methods. 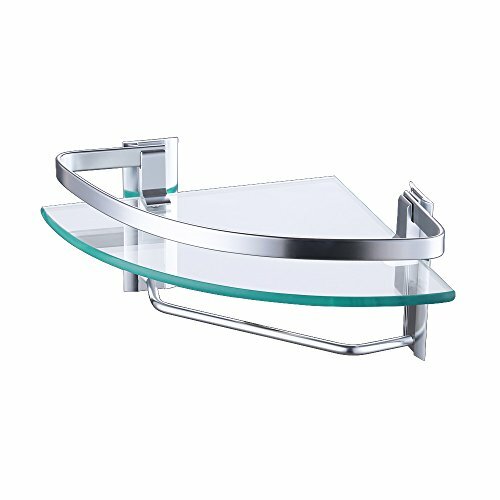 But the one for the glass shelves usually enable it to be installed with its connections being pretty invisible as well which adds the decor. 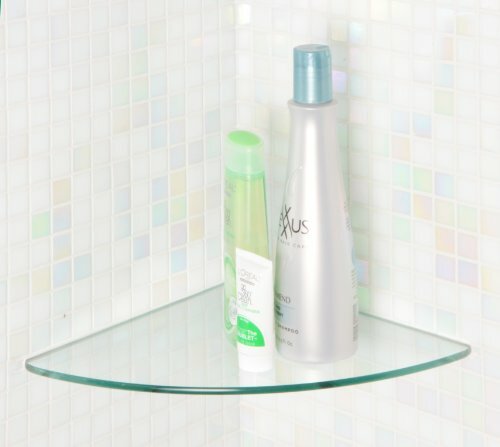 Ceramic corner shelves can fit into any shower decor. 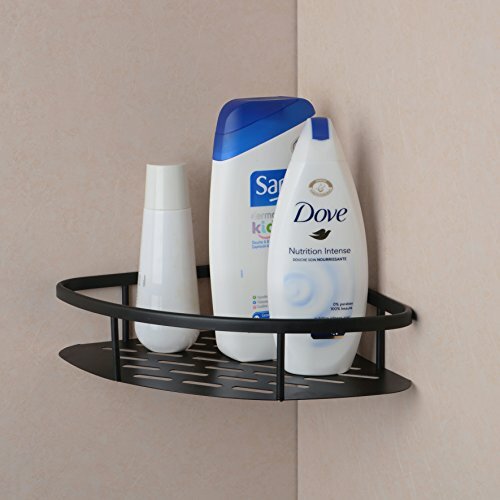 And where tile is your shower room method of choice, ceramic corner shelves are a perfect fit. If you look the right places you may even find some ceramic shelves that perfectly match your tile. Some prefer plastic. And there's nothing wrong with that. 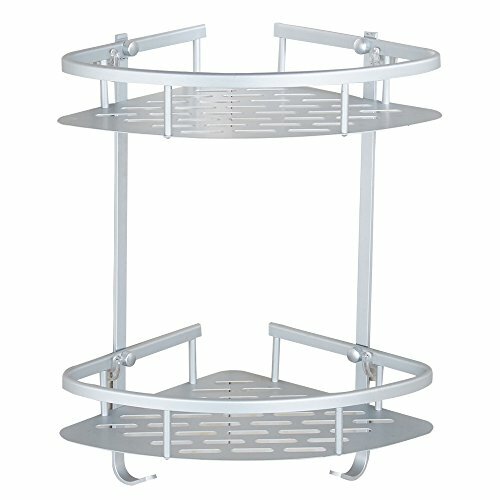 They are just as sturdy and last just as long as other shower corner shelves. 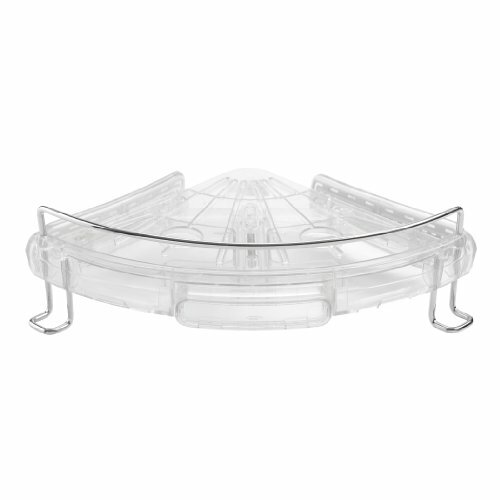 But, for some, they feel safer with a plastic shelf versus a glass or ceramic one. Standing corner shower shelves show the diversity of corner shelves. And they have many advantages. 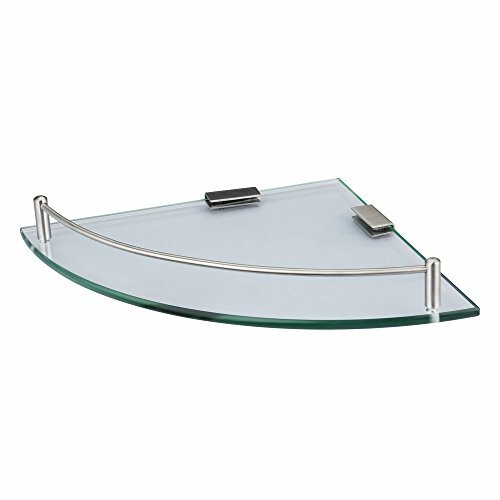 There is no installation needed like other types of bath corner shelves. And many of them boast a number of shelves to hold your bath accessories. Of course, by design, they wont fit in all the places other types of corner shelves can. For example, it wont be able to hug the corner if you have a traditional sloped tub. In those cases the floating shelves can do the trick. 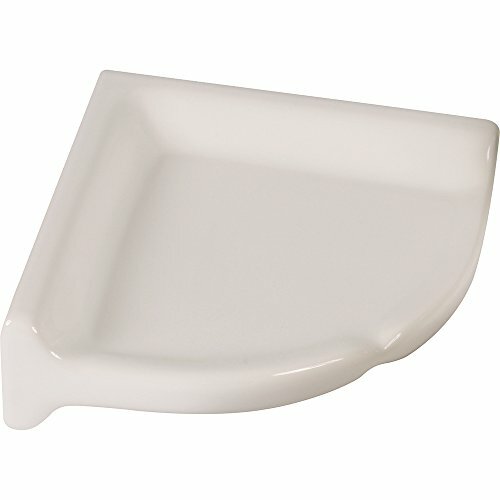 But if you need a corner shelf outside of your traditional tub, these can work. If you have a shower stall these can definitely work. 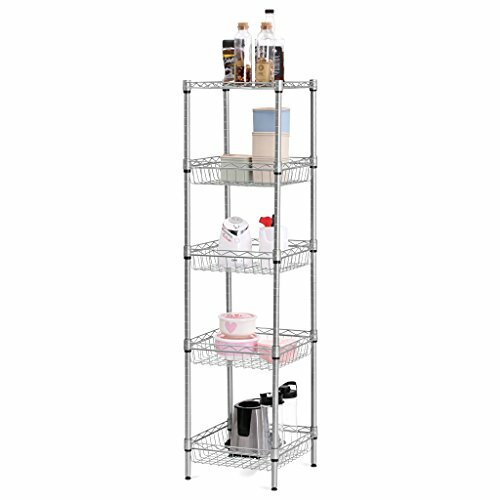 But of course, carefully consider your needs and you will find a corner shelf to suit. 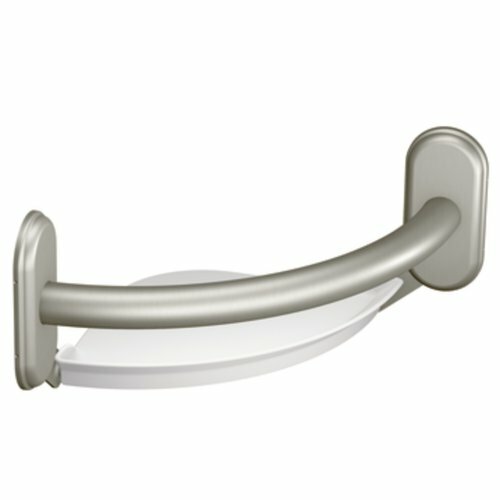 9-inch bathroom grab bar with shelf supports up to 250 lbs. 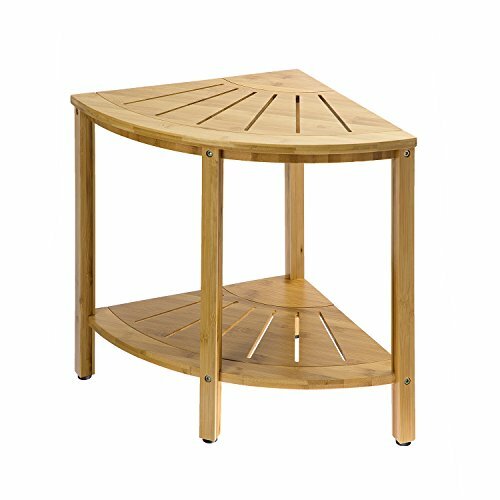 SPACE SAVER: 4 Tiers Corner Stand Design, Can USE At Any Corner, Save Space. 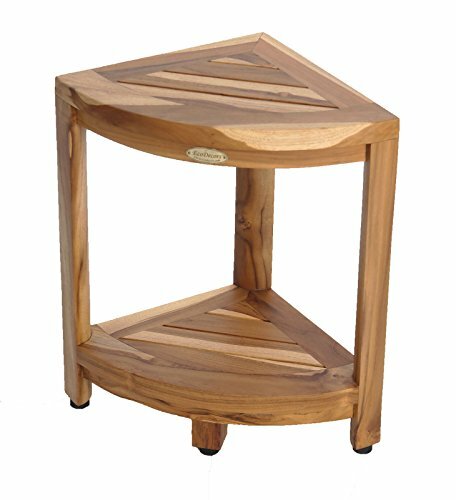 MULTIPURPOSE: Best to be Bathroom Storage Corner Shelf, Shower Caddy,Bookcase, Flower Stand or Decor Shelf. GREEN MATERIAL: Made of Wood-Plastic Board (WPS), Which Is Light Weight, Waterproof, Moisture-proof, Flame Retardant, BPA Free and Green. 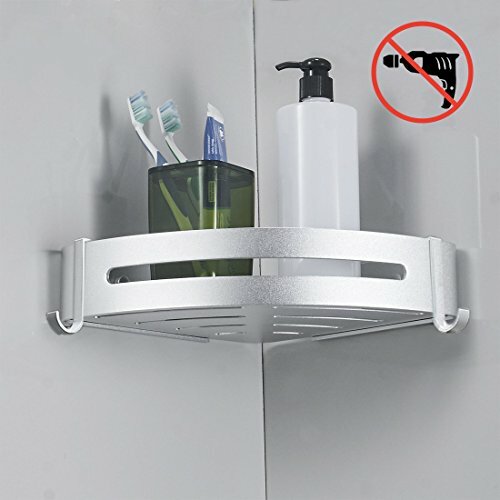 Advantage of No Drill Bathroom Shelf Rack: DIY, No need any professional tools, neils free, No drilling. Waterproof and Never Rust. 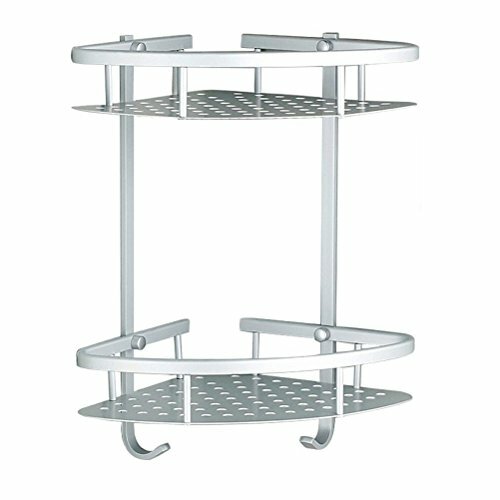 2 tiers corner shelf rack made of durable Aluminum instead of stainless steel. 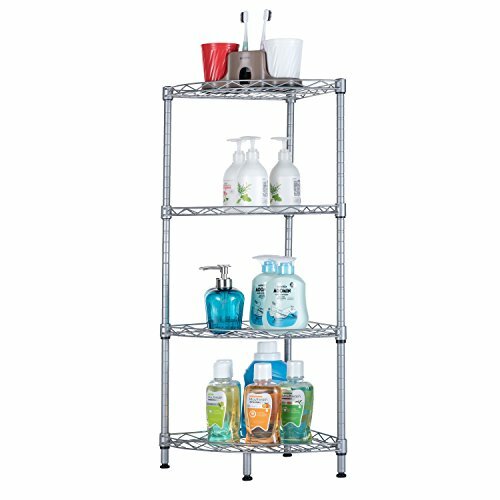 Easy to clean for shower storage and bath organization. 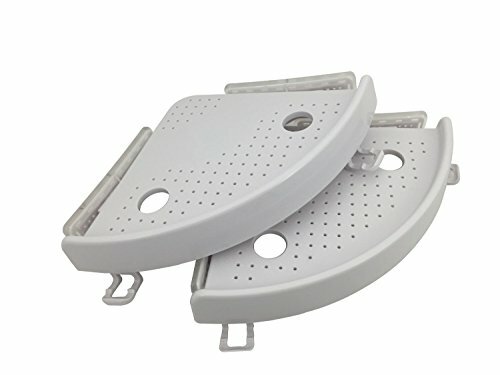 Easy DIY and Quick installation, can be installed in any smooth surface as ceramic tiles. Adhesive with the glue and the temporary one-time tape. Please hold on 5 minutes and don’t put anything on the shelf within 12 hours. Extra bathroom storage in seconds. 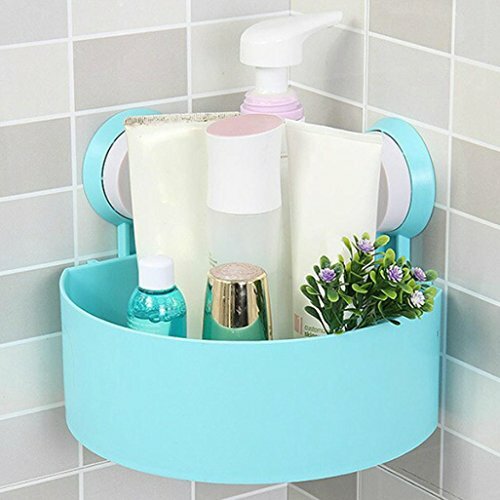 Holds your shampoo, soap, shaving cream and more with two hanging hooks for loofahs, washcloths and razors. 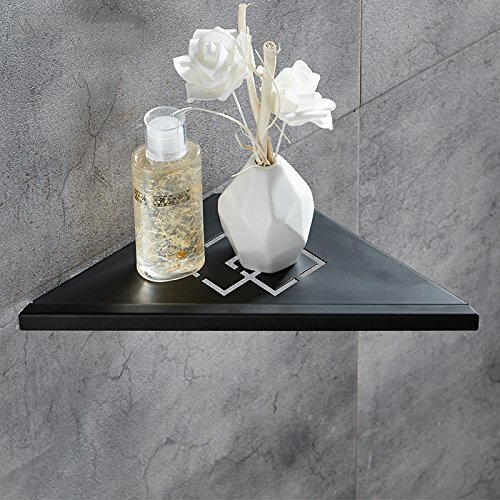 Floating shelves work on any surface including marble, tile and glass, make sure the surface does not flex as these shelves uses side push, No-Suction cups! 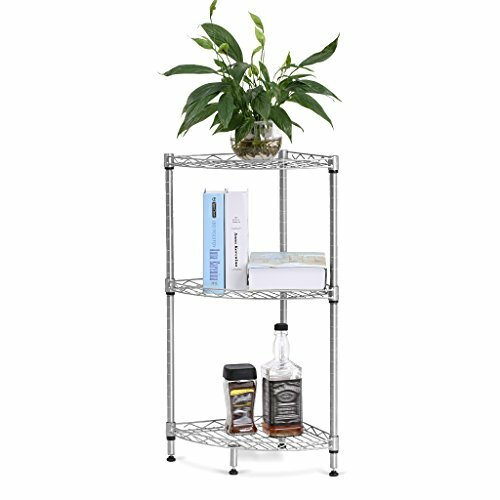 Hopefully you found the right corner shelf for your needs. Feel free to peruse our curated offerings. But what if a corner shelf is not what you're looking for? 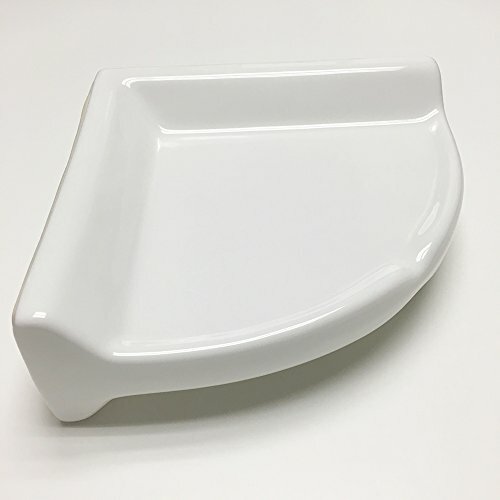 What if you you're looking for something more robust and with more storage for your bath? 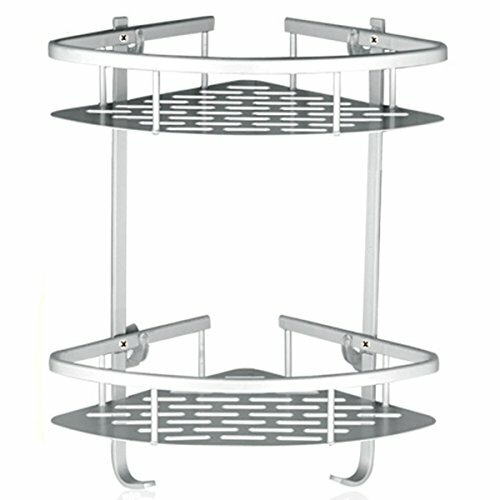 Then check out the best corner shower caddies around.Enjoy.